The following is based on initial operational reporting. 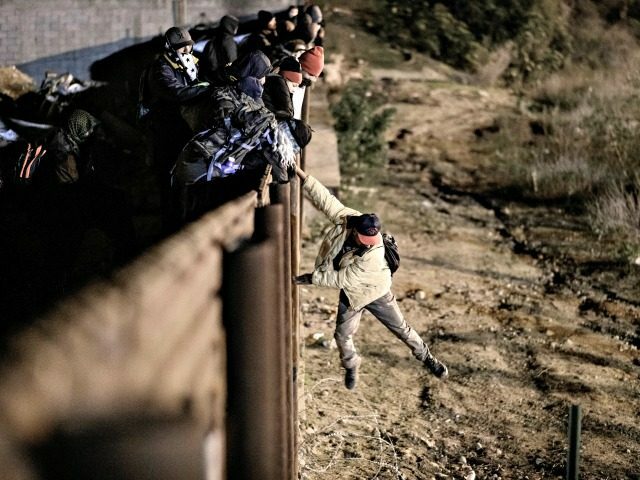 Last night, approximately 150 migrants attempted to illegally enter the United States by climbing over and crawling under border fence in San Diego Sector. Due to CBP’s increased presence, a first group of 45 turned back towards Mexico. Shortly thereafter, migrants began throwing rocks over the fence at the CBP agents and officers. Several teenagers, wrapped in heavy jackets, blankets and rubber mats were put over the concertina wire. Border Patrol agents witnessed members of the group attempt to lift toddler sized children up and over the concertina wire and having difficulty accomplishing the task in a safe manner. Agents were not in a position to safely assist the children due to the large number of rocks being thrown at them. The statement said the “countermeasures” were directed only at those attacking the agents and were deployed in a manner that would not threaten other migrants in the area. The Associated Press reported injuries in the crowd, but CPB denied that claim. The statement said agents successfully turned back the rock throwers and that 25 arrests were made during the unrest. “Under CBP use of force policy, this incident will be reviewed by CBP’s Office of Professional Responsibility,” the statement concluded. As Breitbart News reported in November, under the Obama administration, U.S. Customs and Border Protection (CBP) law enforcement officials, including Border Patrol agents, utilized tear gas against migrants at or near the border at least 80 times between FY2012 and early FY2017.